Moscow is a multicultural city, and its international bearing is only increasing in light of the World Cup. Graffiti artists have joined this trend, painting the city walls with murals by artists from every corner of the globe, from Australia to Argentina. Local curators are taking advantage of the growing popularity of international graffiti, as demonstrated by the 2018 MOST Street Art Festival. Harry Lebrun of Tumby Bay, in south Australia, has never been to Moscow. Thanks to a famous Argentinian street artist named Martin Ron, though, the 10-year-old’s face has quite literally left its mark on the Russian capital ahead of the upcoming 2018 FIFA championship. 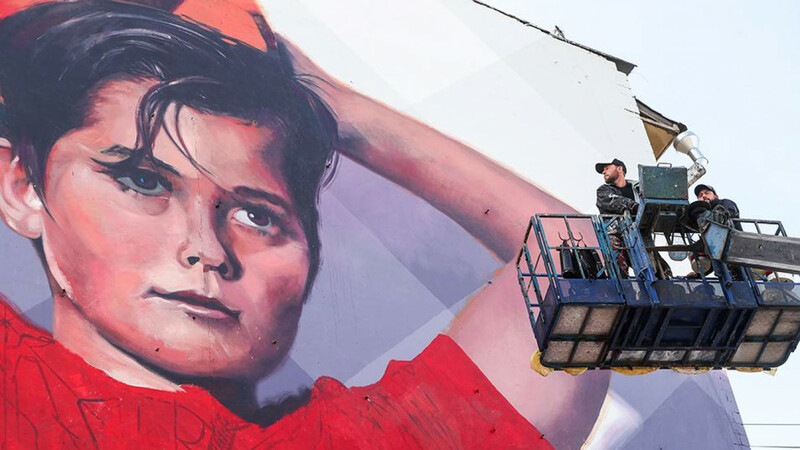 The colorful large-scale mural on the side of a five-story apartment block located close to Luzhniki Stadium, the championship’s main stadium, features a boy in a red jersey taking the throw-in. Ron was visiting South Australia’s Eyre Peninsula to paint the Tumby Bay silos when he met Lebrun, the mural’s subject. Lebrun said he had observed the mural’s progress and was thrilled that millions of people would see it. “Everyone who goes to the World Cup and everyone in Moscow who drives past it to work will see it,” he said. 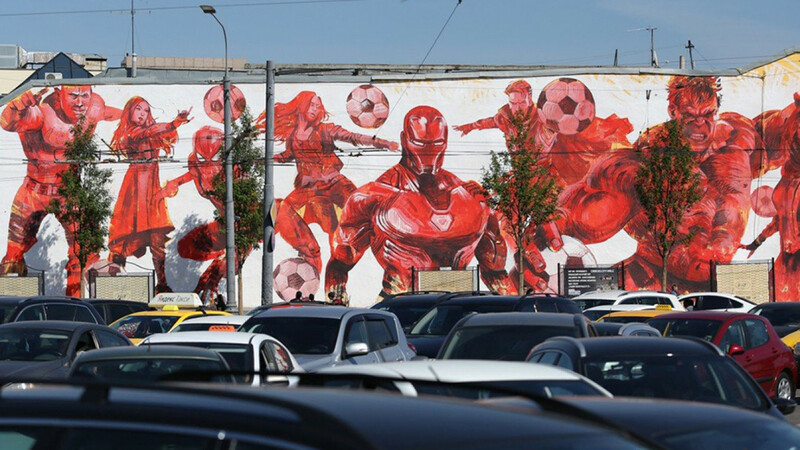 The World Cup mural by Ron was painted as part of the 2018 MOST Moscow Street Art Festival, which will be held in the city until mid-June. For most of Russia’s recent past, graffiti was illegal. Moscow-based street art curator Oxana Bondarenko told The New York Times in 2010 that “The state invests millions of rubles in hunting down graffiti artists and painting over the works,” resulting in arrests and a warning if an artist was caught. In recent years, street art has become more accepted in major metropolises like New York and London, which have seen a boom in street paintings, and Moscow is no exception. Besides Ron, Mue Bon from Thailand and Farid Rueda from Mexico have taken part in this year´s mural fest dedicated to the football championship. The murals are financed by MOST’s team and the Moscow city authorities. “The World Cup murals will remind Muscovites about the upcoming championship, as well as the benefits of sports for school students and youth. This is why one of the art works includes superheroes and teens playing football,” said a spokesperson for the city committee. With so many graffiti-based events occurring in Moscow, locals have the opportunity to immerse themselves in world-renowned street art organically, on the very streets where it is created. Martin Ron’s mural of Harry Lebrun is located at 21 Prospekt Marshala Zhukova. 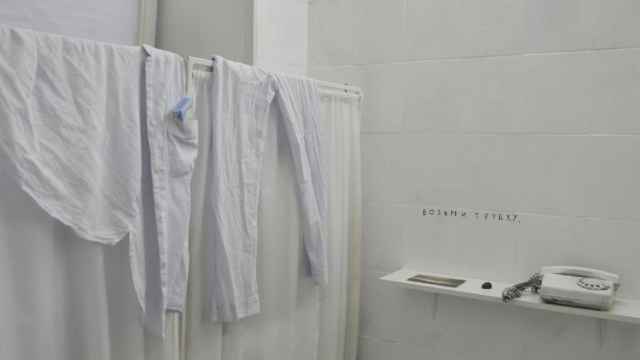 At 1 Ulitsa Solzhenitsyna, Bldg. 5 is another mural by Ron depicts superheroes from the movie “The Avengers,” including Iron Man, Spiderman, Captain America and other characters, playing with footballs. 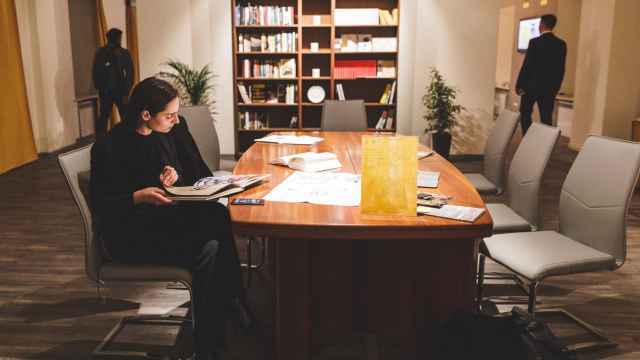 Emma Friedlander and Alina Shubina contributed reporting. 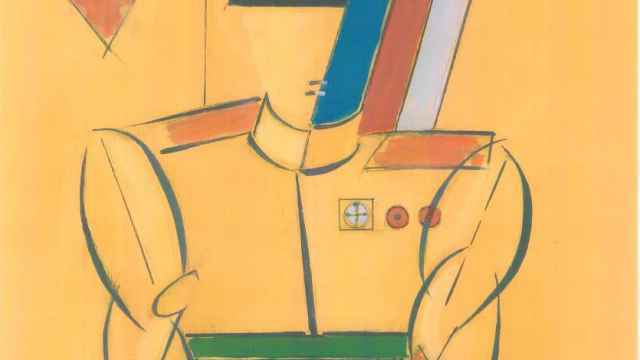 A new exhibition at the Anatoly Zverev Museum pits four artists across time and genres. The annual show by Moscow’s stage designers is being held in an abandoned hospital. 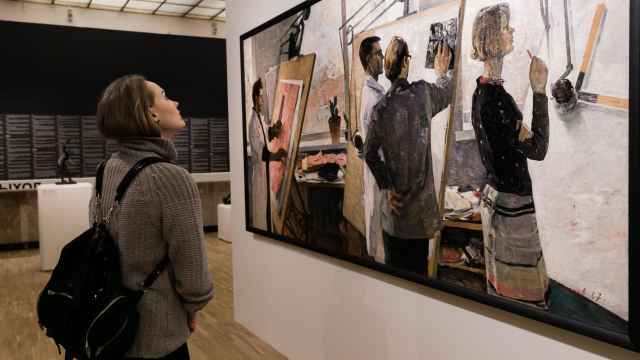 Exhibits at the New Tretyakov Gallery and the Museum of Moscow seek to put the post-Stalin period into historical and cultural context.